These activities may be easily done in a fitness gym. 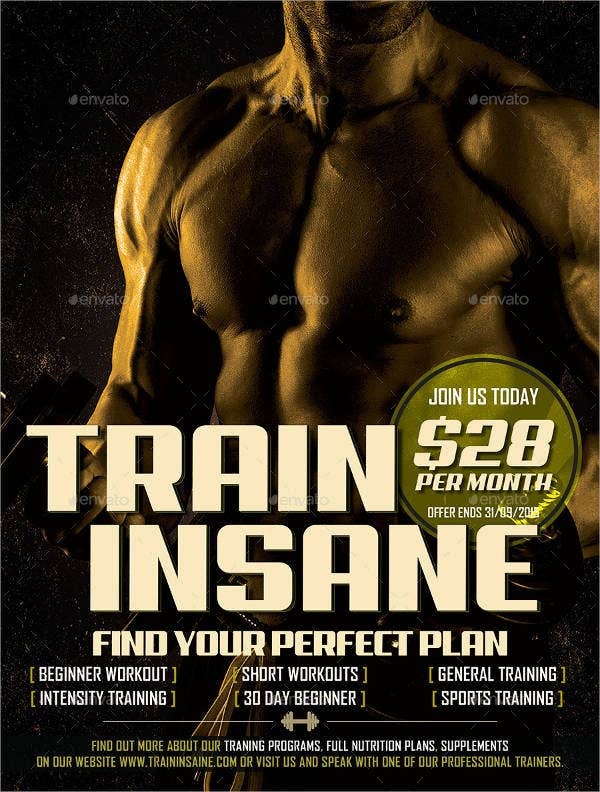 It would also be more efficient to go to one as there are available coaches and exercise programs that may be helpful to achieve the desired result in a faster duration of time. 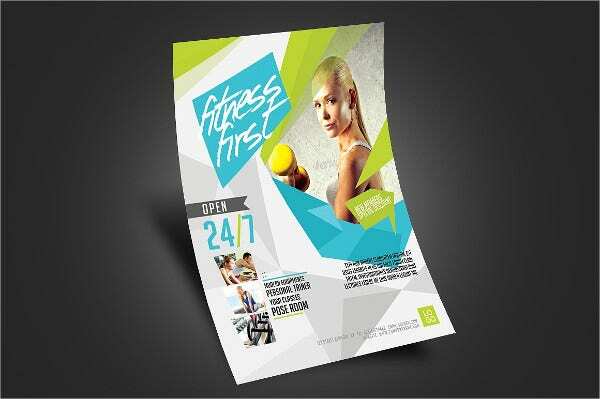 Looking at gym fitness flyers will help you analyze whether a gym facility is appropriate for your needs. 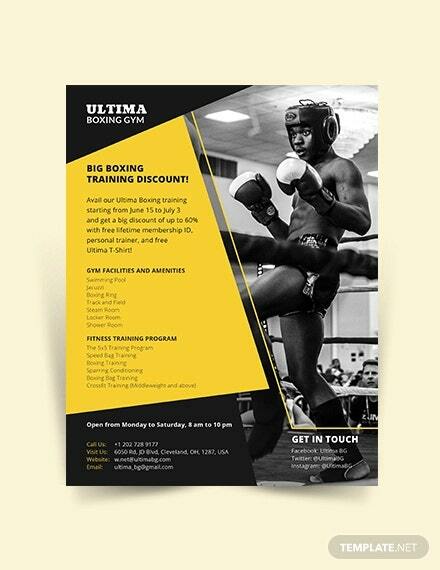 You may view our flyer templates to see more flyers not only used by gyms but a lot of other businesses as well. Why Do People Go to Your Gym? There are people who are advised by their doctors to do regular physical exercises to either avoid or lower the chances of having more complications concerning a specific health condition. Some people go to the gym to lose weight and improve their physical appearance. 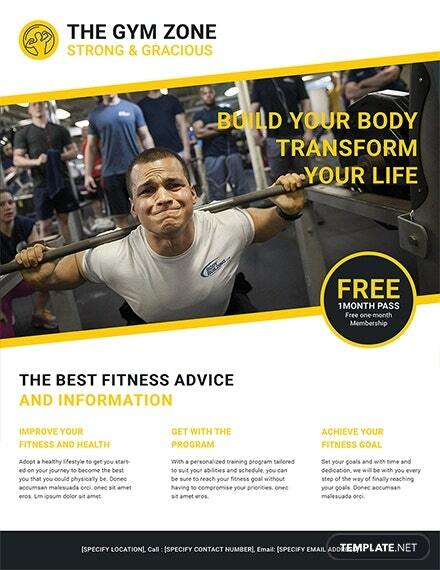 It can focus on the entire body aesthetic or a specific body part that a person wants to improve. Maintaining their body weight is also one of the few reasons why people go to the gym. 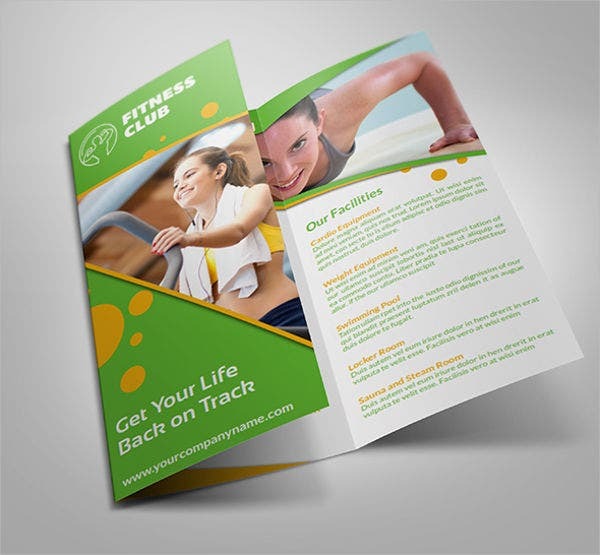 Coaching services provided by the gym helps them to lose the extra pounds resulted from over eating or any other activities. The fees that people need to pay for the gym services. The location of the gym and the ambiance of the location. 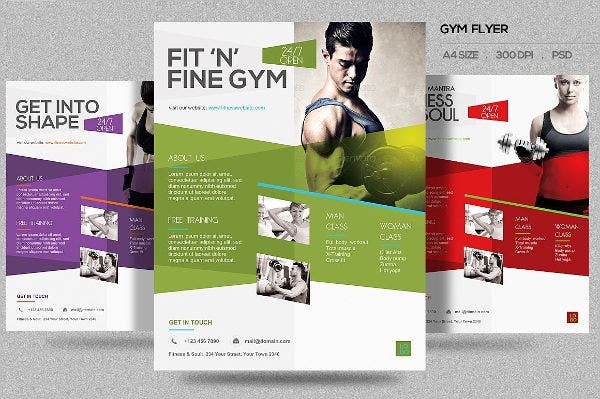 Services offered by the gym is also a great impact for the viewers. 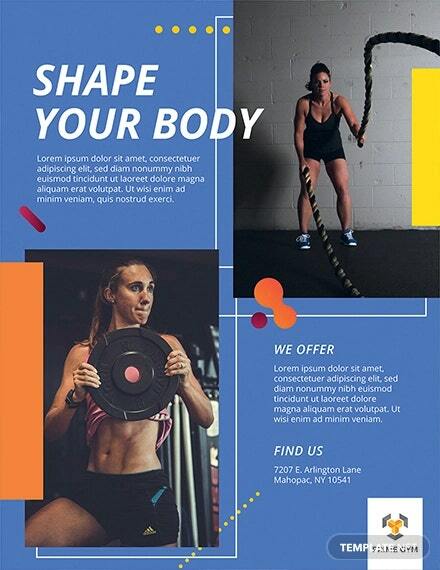 This includes coaching services; sauna and dry bath; the equipment available; and the fitness programs that people may join in like boxing, dance and fitness classes, yoga, and circuit training. Browse through our fitness flyers should you want to see sample flyers that are more focused on other aspects of fitness other than going to the gym and having regular exercises. 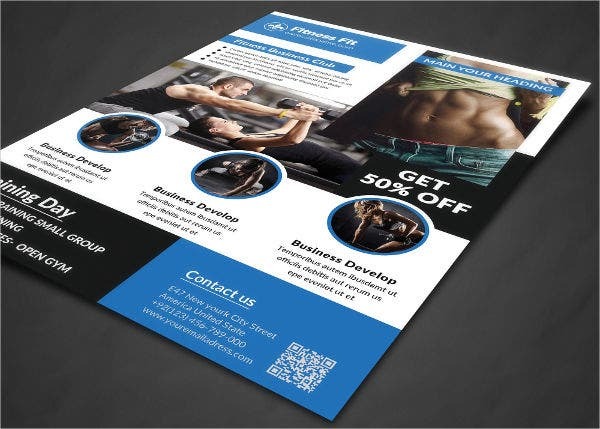 Make sure that all the details needed by prospective clients are included in the flyer. 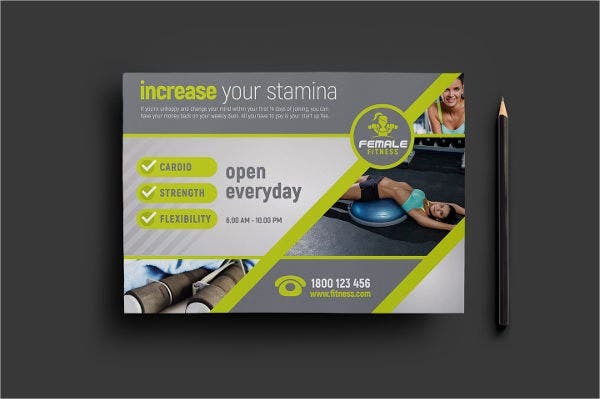 Photographs of the facility is very much encouraged to be used as it allows people to know how the gym looks like. 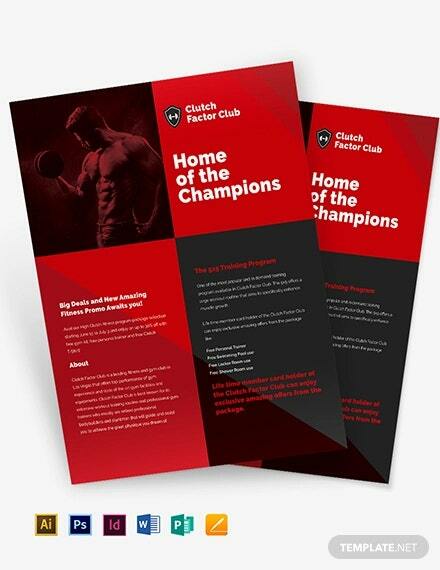 Information on services and products being offered by the gym must be listed as well so that people can manage their expectations in terms of what the gym and fitness facility can provide. It allows them to market their facility and services even more. 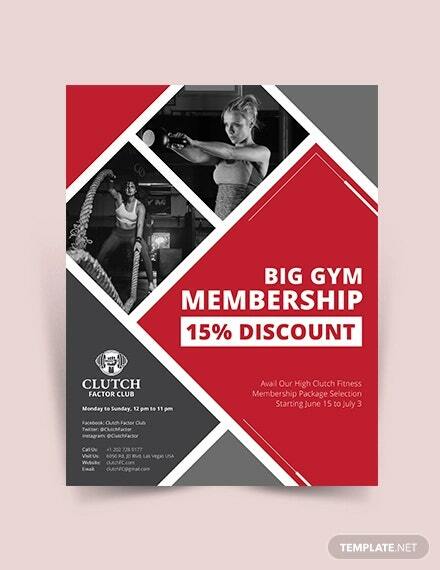 It helps them to get new clients and allows the gym to be more salable. 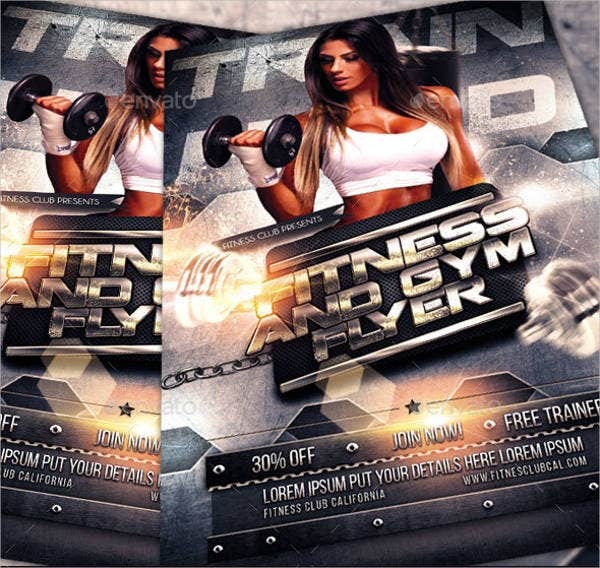 It presents everything about the gym in a single document. They can use it as a marketing and promotional tool. 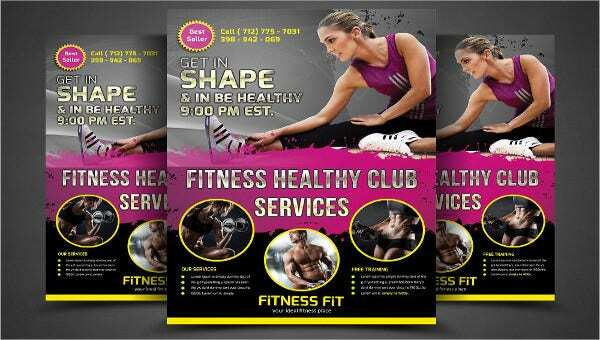 You may download our fitness gym flyers for more samples of flyers used in the field of fitness and gym training.